One of these days I hope you tell us the tales mentioned in all of these throwaway lines. I wanna know the story behind the vampiric mushrooms, and why they were in an abandoned bakery. 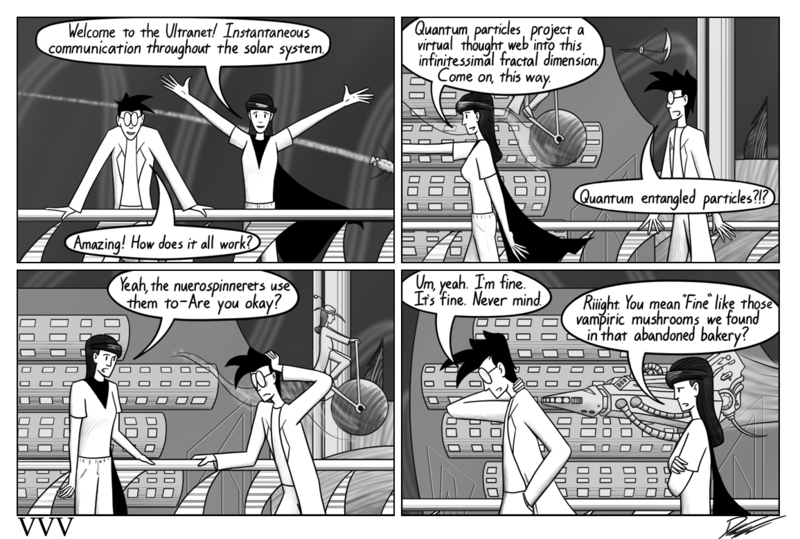 In the meantime, though, I can’t wait to find out why quantum entanglement is freaking out Argon. Maybe he scared by spooky action at a distance (I’m sorry, that was terrible)?